She could be talking about me. With family in rural Illinois and a grandmother who has been a wonderful archivist, I have spent untold hours staring at pictures of ancestor’s I never knew. My cousin Rachael and I also frequent the many antique shops in small towns — not to mention the treasure troves we find in old barns and sheds. I’ve got piles and stacks and boxes of my own now. Postcards and driver’s licenses from people I don’t know. One of my prized finds. 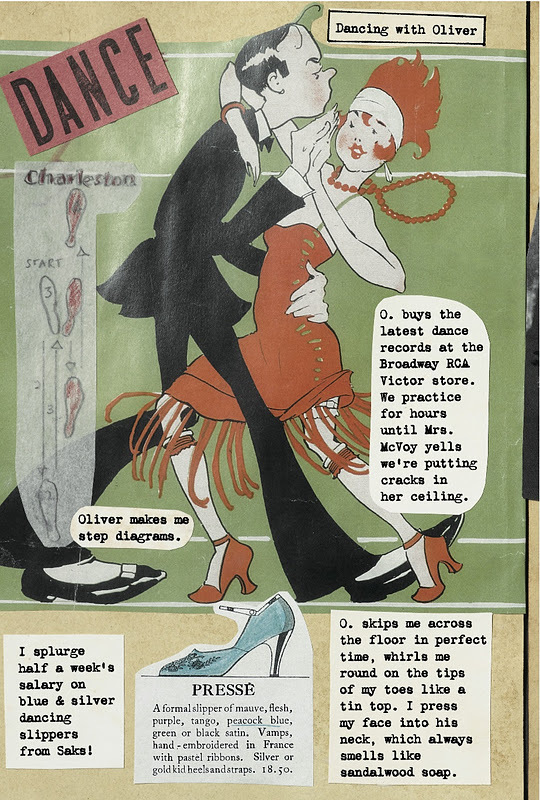 Preston takes actual pieces of vintage ephemera and constructs a story about a young girl who’s growing up during the fabulous Roaring 20s. 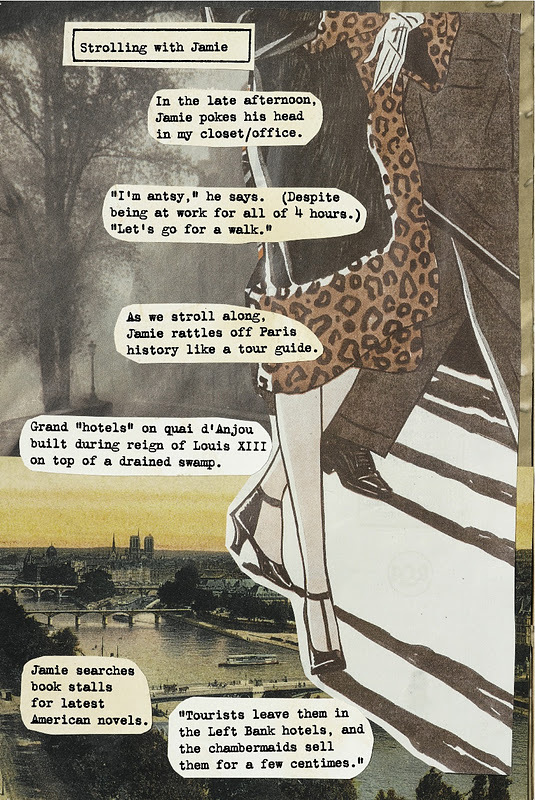 Frankie Pratt lands a scholarship at Vassar, rubs elbows with wealthy socialites, gets a broken heart, dances the Charleston, and lives it up in Art Deco Manhattan and expatriate Paris. Preston’s narrator is sweet, naive but not useless. She is reminiscent of Cassandra from Dodie Smith’s I Capture the Castle. She chooses experience over caution, but she’s not spoiled or reckless. Simply a smart girl who wants to get the most out of life. And her scrapbook makes her even more endearing to the reader. Preston’s collection is even more impressive when you learn that it’s all real. She created an actual scrapbook of actual items that she found. 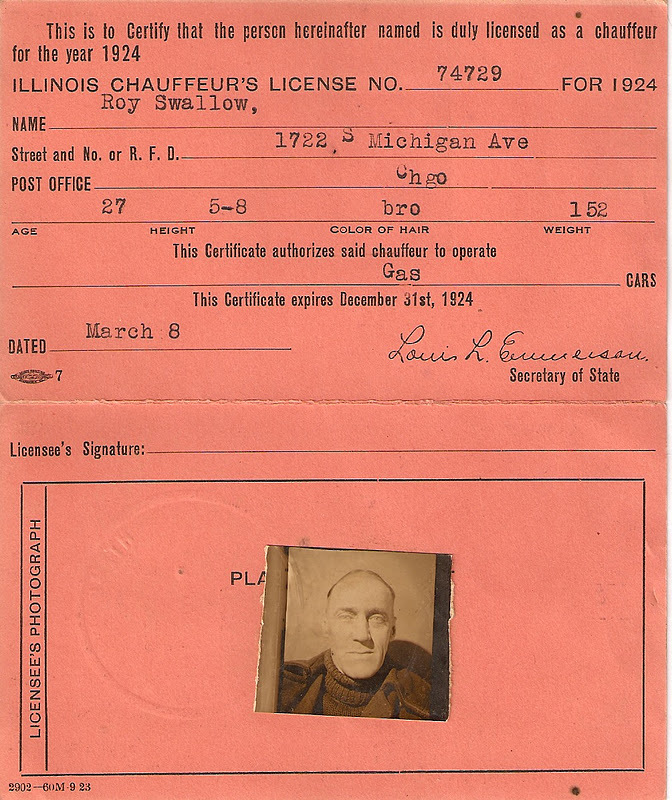 Preston recalls, “In all I collected over 600 pieces of original 1920’s ephemera. Some I found in my own stash of vintage paper, the rest I tracked down and bought from dozens of antique stores and hundreds of eBay sellers.” And she did a beautiful job. 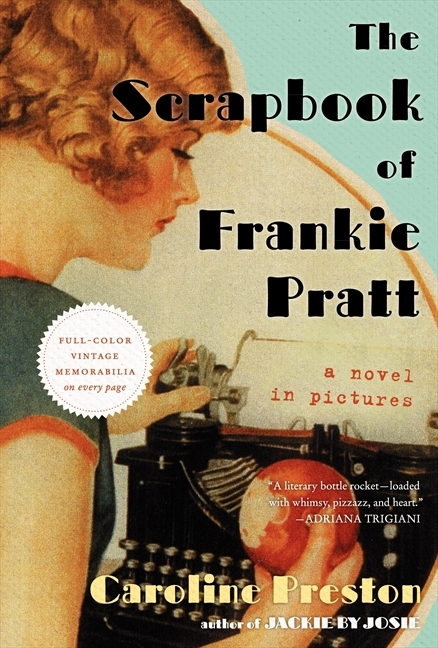 The Scrapbook of Frankie Pratt reads, in parts, a bit like a young adult book but not enough to be only read as such. It’s completely enjoyable for any age. The items found on the pages enlighten the reader about a past era. Frankie Pratt is a lively voice from the past. Many thanks to Heather at HarperCollins for the review copy.